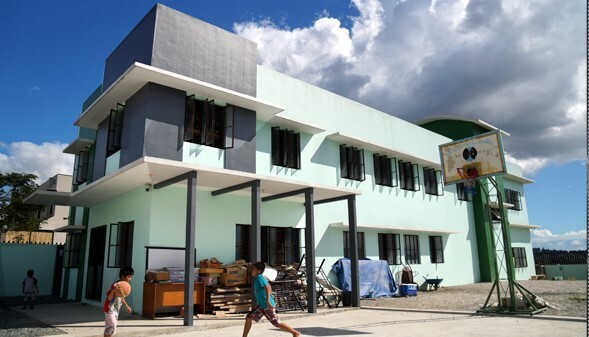 The work in the Philippines began in September 1977 when Brian and Necy Ellis were sent by Wattisham Church in Suffolk back to the Philippines with the purpose of establishing a Reformed Baptist church . Meetings were begun in their home in 1978 and by the grace of God, a church of 16 members was constituted on August 4, 1979. The membership and congregation grew and they need a new building to meet in and The Lord graciously provided a fine building on the edge of a large commercial complex and has given a number of gifted men who preach regularly. In January 1995 after almost of year of prayerful consideration another work was commenced amongst the street children and a small home for girls was begun. Three ladies in the church were sent for training and the work now known as the Christian Compassion Ministries was founded on the church premises. All members of staff are church members, who know and love the Lord Jesus Christ. CCM seeks to bring the good news of the gospel to the many that so desperately need to hear it, at the same time as helping them in their many practical needs. ● The Community Development programme, under which many homeless children and those living in the slums are supported in their education. ● The Residential Care programme, which provides 4 homes for neglected, abused and orphaned children. We believe what the Bible teaches about the church preaching the gospel should also be outworked in loving concern for those around us. “How can we tell people of the love of Christ without showing them something of that love?” CCM is a benevolent ministry to the poor and needy, seeking at the same time to bring the good news of the gospel to such people.